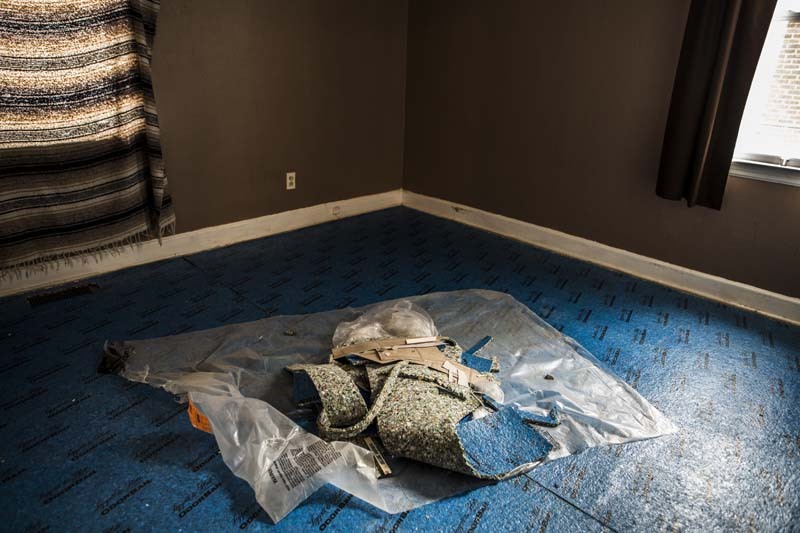 February 01, 2014 - Torn carpet padding and other scraps lay on the floor of the back bedroom in Paul Oliver's home where he died on December 6, 2014. "It's like the book was written about what happened to him," Ron Oliver said. "He would literally get into the back bedroom and turn all the lights out, hide his car in the back yard, lock all the doors, and stay in there for three-four-five days at a time without any interaction with anyone. He had a mattress on the floor and that was it. He would never even walk out the door," Ron Oliver said about his son as things progressively got worse with his PTSD.